Our Second World War Stories exhibition has officially launched and will be touring South Gloucestershire libraries and community venues in the area between February and September. The National Lottery funded project aims to explore the impact of the Second World War in the local area and this exhibition shares residents’ stories about what it was like to grow up, live and work in South Gloucestershire during or in the aftermath of the war. From sweet rations to shelters, air-raids to evacuees, it’s a great opportunity to learn more about how local people lived through the war. The exhibition opens at Staple Hill Library on Monday 4 February before touring libraries and community venues across South Gloucestershire over the next nine months, and will be accompanied by a series of community events. The exhibition is part of a project supported by £49,900 from the National Lottery Heritage Fund. 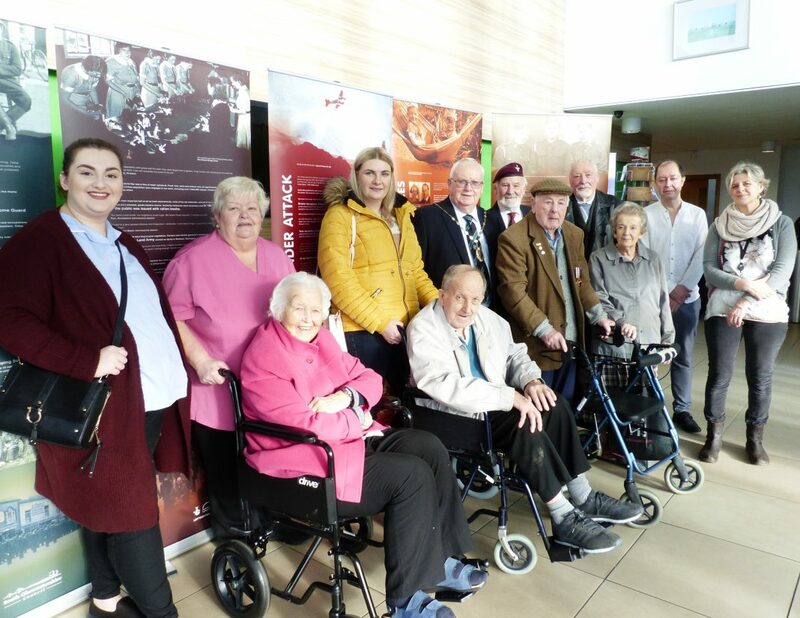 Vice Chair of South Gloucestershire Council Cllr Brian Allinson said: “We are delighted to have been awarded funding by the National Lottery for our South Gloucestershire Second World War Stories project. This exhibition captures what life was really like during the war and we are pleased to be able to share these important and powerful stories before they are lost to living memory. Hanham Library: 16 – 28 September. The Second World War Stories project team carried out research with community museums and through reminiscence sessions in care homes across South Gloucestershire to gather quotes and images for the exhibition, in order to bring to life the experiences of those living and working in the area during the war. Alongside the exhibition we are running a number of community events to share the stories we have uncovered and hopefully discover even more. If you lived through the war yourself, please bring along any memorabilia or photographs to our events so we can capture your stories. We can scan photos and add them to the Know Your Place website to highlight a slice of history.